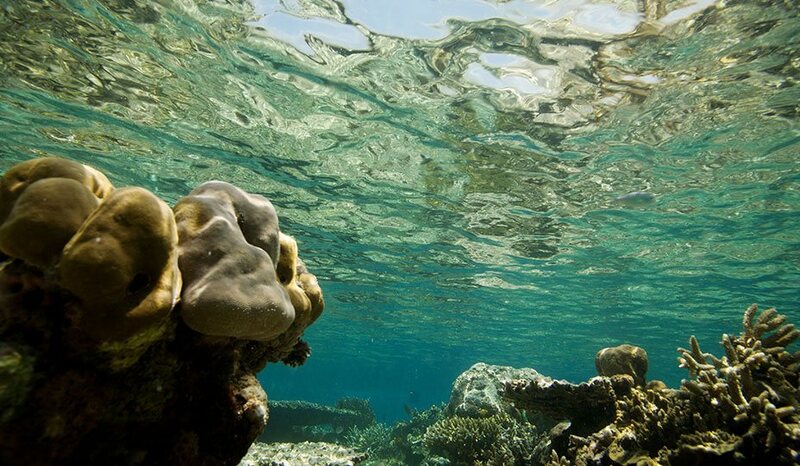 Colourful fish, tropical reefs, and warm water await your snorkelling experience. 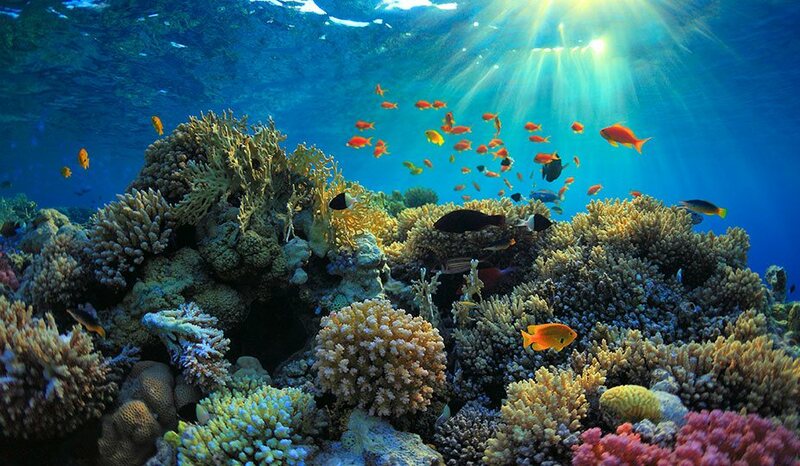 The reefs of Nusa Lembongan, Penida and Ceningan are well known for being some of the most diverse on the planet. More than 200 species of fish have been recorded during the recent survey at Lembongan Bay by marine biologists. 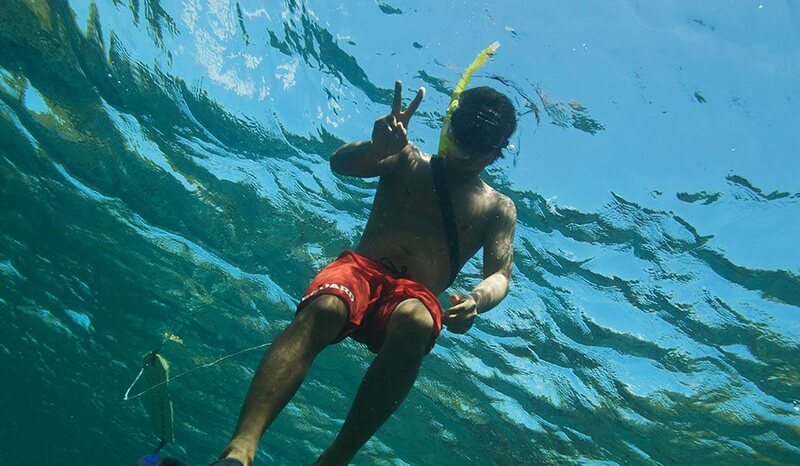 Snorkeling is included as part of the activities of the Daylight cruise. We provide you with full snorkeling gear as well as with best guidance and tips on how to use the equipment and where to find most beautiful corals and abundance of reef fish. The best snorkelling is from our snorkeling pontoon. We have vessels that will ferry you out to the pontoon and back for snorkeling tours during the course of the cruise program. We have trained lifeguard snorkelling guides who will help you with your equipment and snorkeling instructions. In the water, we have full time supervision by our trained staff; we also have life jackets and flotation devices for those that are not so comfortable in the water. 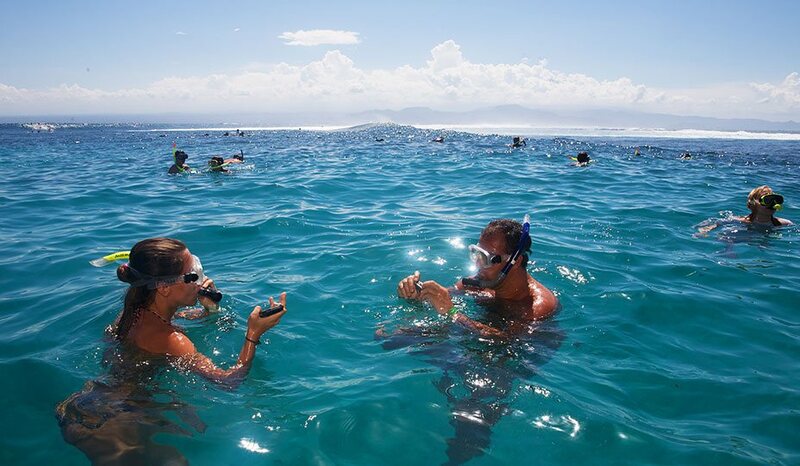 Our specially designated snorkelling areas make it a very safe and enjoyable activity for the whole family. Need to go a bit deeper – try our Diving Adventures. We have an international 5 Star PADI Dive Centre, Bali Hai Diving Adventures, at your service. We are happy to take any snorkelers who want to try diving on their first ever diving experience. Our Discover Scuba Diving program is perfect for beginners. It’s an adventure you’ll never forget! Glide on the crystal clear blue waters together with your friends on our double kayaks or brave the waves on a single ride. Experience the beautiful sunny afternoon paddling along the shoreline of Mushroom Bay and Lembongan Island. Depending on the tides, you might experience flat water or some small waves. It’s fun either way. Our ocean kayaks along with life vests and paddles can be found at our Anchorage beach with the life guards. Our life guards will be there to help you choose the best paddling spots to enjoy the beautiful scenes and to ensure your safety. Hang on and let’s go! 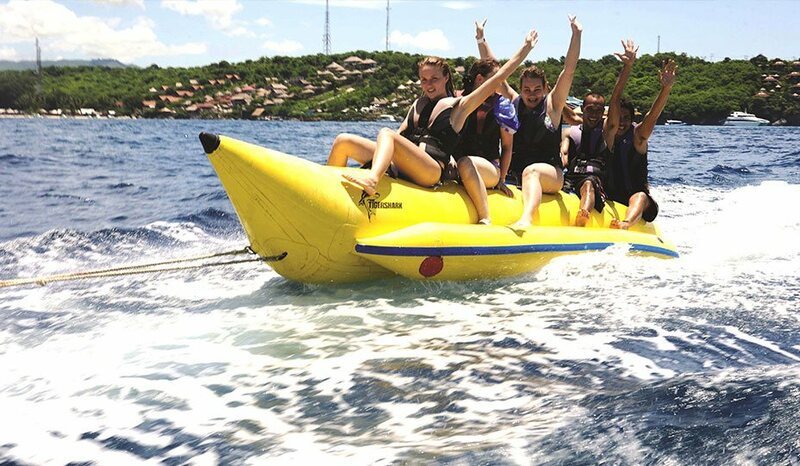 Unlimited banana boat rides are waiting to thrill you. Climb on it, get sprayed and have the time of your life! You get unlimited access to the activity so go and do it as often as you like. Feel the excitement and enjoy and fun of shooting across the water with high speeds. Laughter guaranteed! 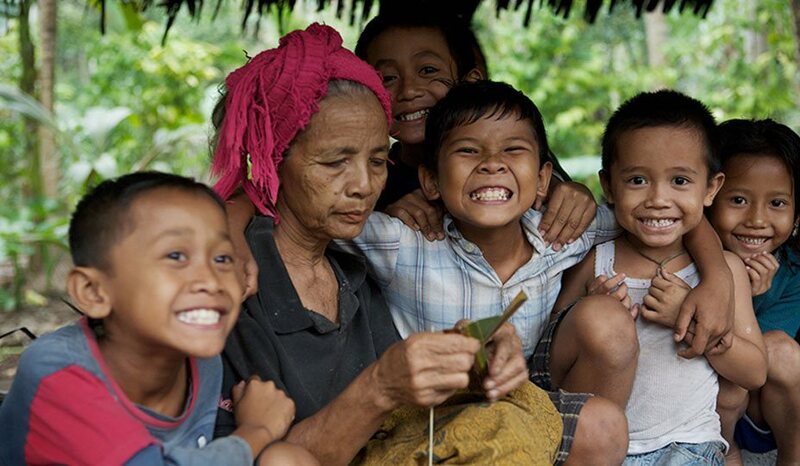 Meet the warm local people of Nusa Lembongan and see the authentic, traditional village life that is getting harder to find in touristy southern Bali. Watch the women prepare the seaweed to be planted for ocean farming. 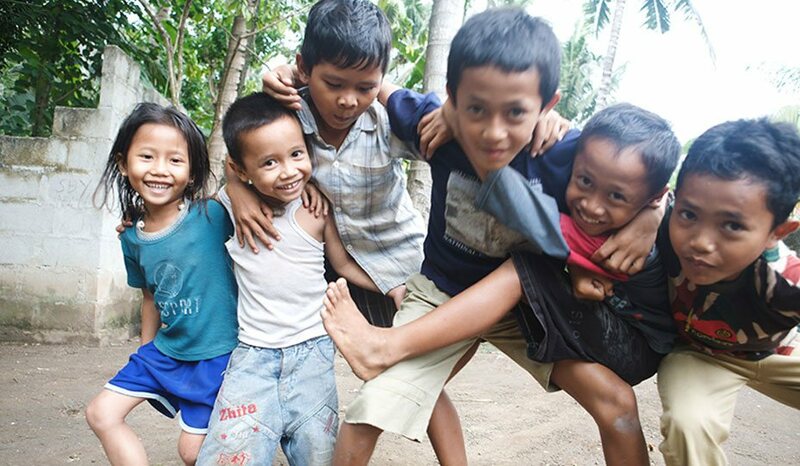 Take a walk through Jungut Batu village where you can observe traditional weaving, coconut tree climbing and daily village happenings. You may find an opportunity to purchase some locally hand crafted souvenirs during your village visit as well. Try out our exhilarating waterslide at our Anchorage resort, it’s a favorite of both the young and the young at heart. The ride on the slide will sure make a good splash and put a smile to your face. Try out the waterslide that starts on the hillside, at the back of our resort. Its a winding slide with a drop into the resort pool. 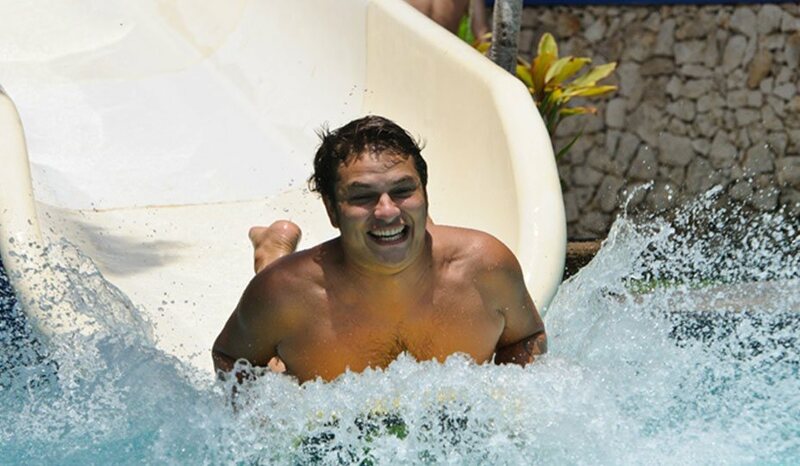 The waterslide is a beautiful addition to the list of water sport fun that we offer to you. We have something for everyone! 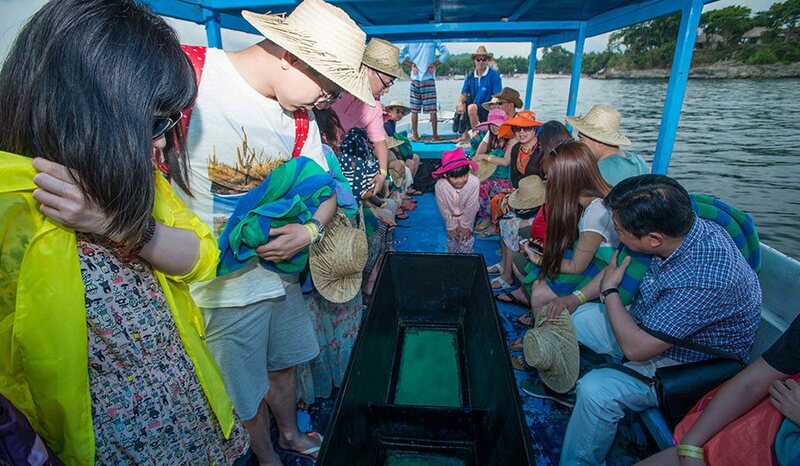 Gather your family to take peek to the reef life of Lembongan on our glass bottom boats. The reef and the fish looks like it’s just within the reach of your hand when you view the underwater world through the windows on the bottom of the boats. Suitable for the yongest of the family as well!